A great activity for Halloween, a literacy topic (instruction writing fits in well with this), or just something fun to do outdoors. 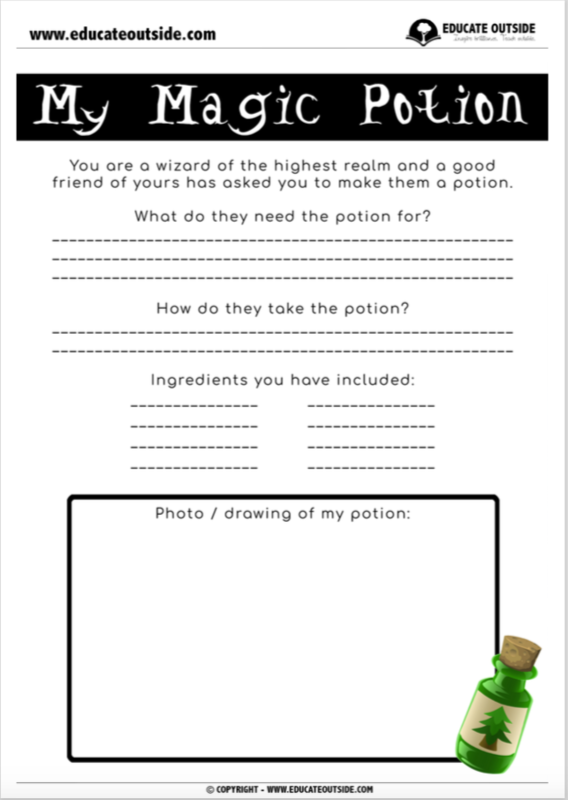 This activity is sure to capture the imagination of your class. 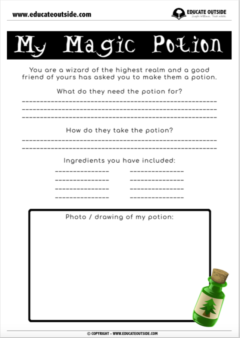 Each student will plan and make their own magic potion using natural materials that they can find in your outdoor space. There are two differentiated sheets; one that gets your students to think about what they might include in their potion, the other that expands on this, getting them to think about the purpose of the potion. 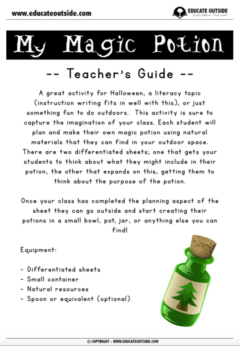 Once your class has completed the planning aspect of the sheet they can go outside and start creating their potions in a small bowl, pot, jar, or anything else you can find!